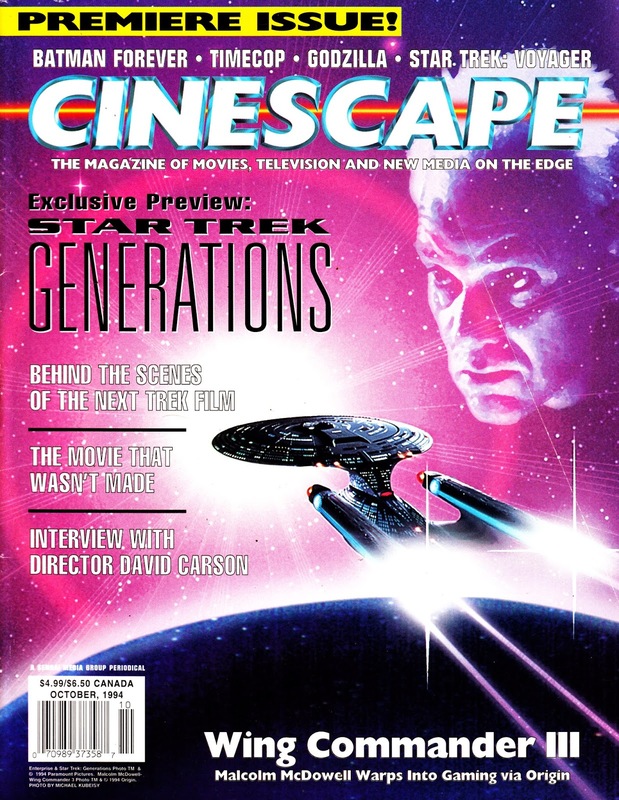 CINESCAPE was yet another in the mid-ninties boom in new SF film/ TV magazines. This is the first issue from October 1994. I recall it had a long run but, presumably, succumbed to the general decline in magazine sales as the Internet rode into town.